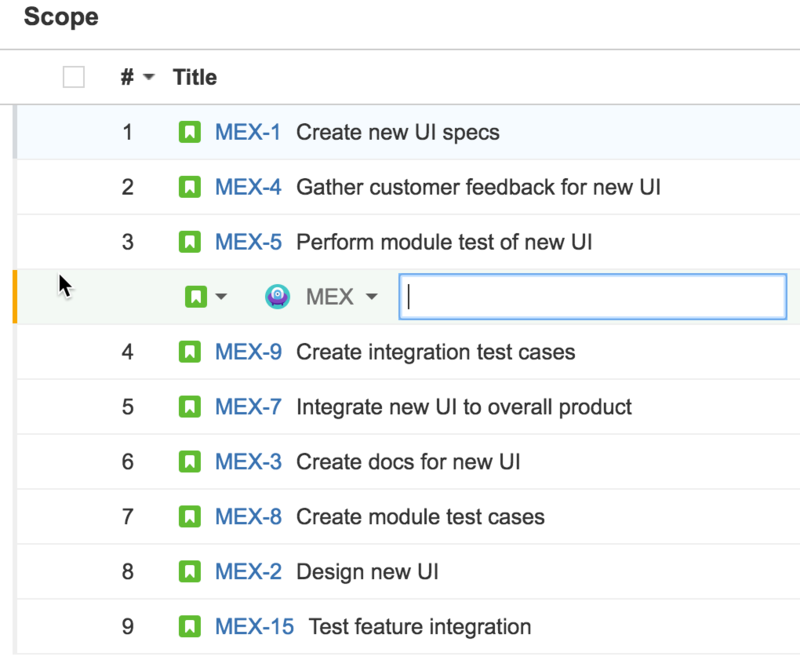 You can create issues directly in a plan in Portfolio for JIRA — no need to go to your JIRA instance to do this. You can also delete issues from a plan, in the sense that you can exclude or remove issues so that these issues don't display in the plan anymore. Creating an issue at the bottom of the scope table adds the issue at the bottom, effectively making the issue the last priority work item. 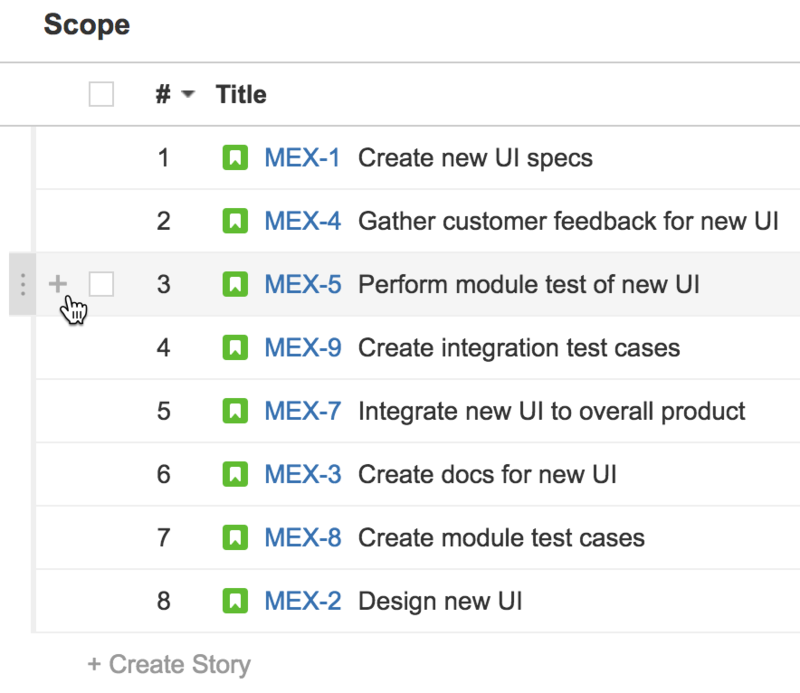 From the hierarchy menu, click the corresponding hierarchy level for the issue you want to create. Depending on the hierarchy level selected, click + Create at the bottom of the scope table. 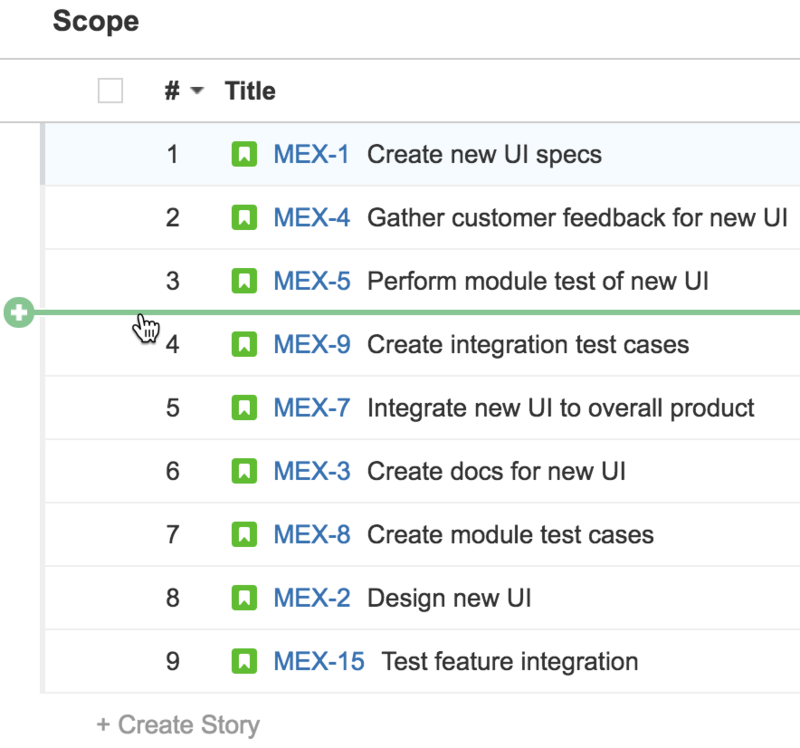 In the row that appears, specify the issue type, project, and title for the new issue. Click Calculate to update the schedule based on the changes made. Hover over an issue, and click the + icon that appears. You can then specify the details for the new issue. Hover over the the grid row between the two (2) issues where you want to add a new issue, and click the green line that appears. You can then specify the details for the new issue. 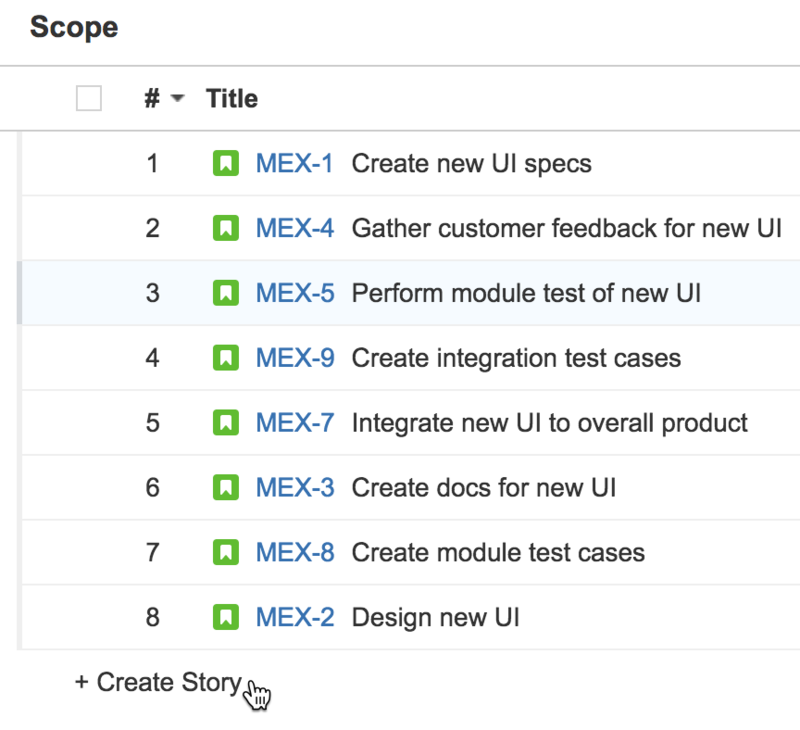 Excluding an issue from a plan in Portfolio for JIRA will remove the issue from the plan. 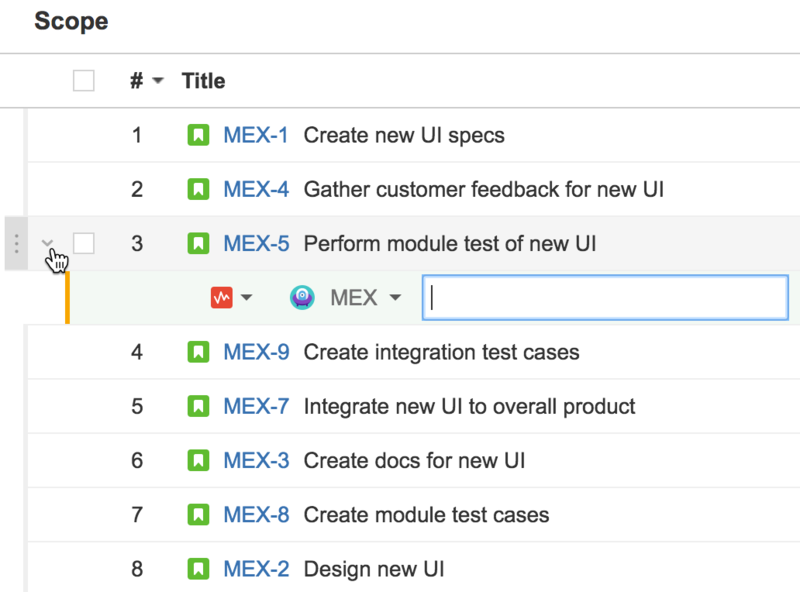 However, the issue will not be deleted from the JIRA instance. In the scope table, click the checkbox for the issue. In the confirmation message, click Exclude.